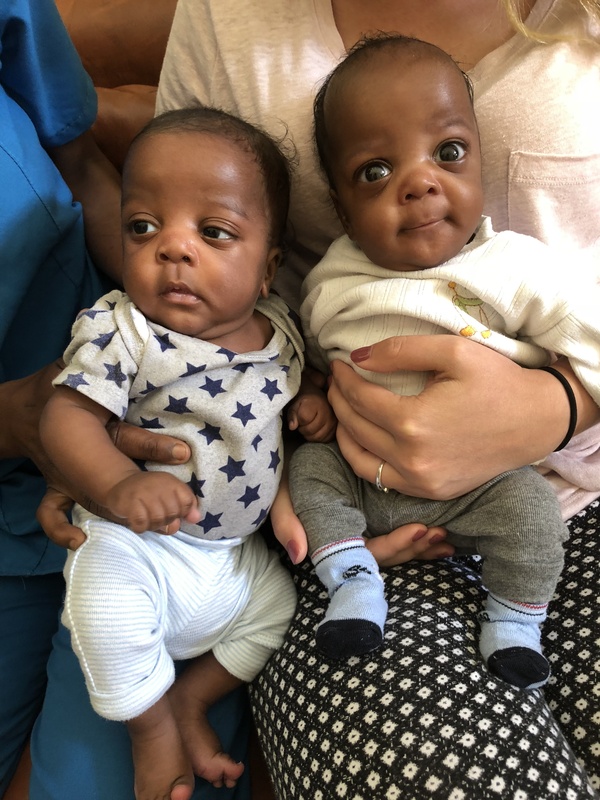 Little twins David and Dennis were brought to Neema by friends who were concerned about the eighteen year old single mother trying to care for them. The mother was living with a friend who decided she could not keep her after the babies were born. Without a home or ability to make a living the young mother was contemplating abandoning the babies. Thankfully our friends brought the babies as well as the mother to Neema. We have set the mother up in an apprenticeship for a used clothing business with one of our other MAP moms who is doing well selling clothes. We will need help with the bills for caring for these two little guys while they live at Neema. With 24 hour care, a huge formula bill, nappies and wipies it costs us over $300 per month to keep a baby at Neema. We are always happy to help but we do need your help. At the moment, July 30, 2018 we have 56 babies and big kids living at Neema, we cannot take care of them without the good people who step up to help us. Bless You!